I waz just doing my normal roaming and being awesome... when I found a pie factory. Yes.. a pie factory. Immediately I went to investigate... well... I guess I lost track of time... and uh 3 years went by of living at the pie factory... and murdering and eating delicious pies. It waz awesome. I waz even hired az a taste tester and made good money... but management and I got into some creative differences. I guess a "tuna pie" or a "dead mouse behind the oven and half eaten flies pie" were too awesome for them. 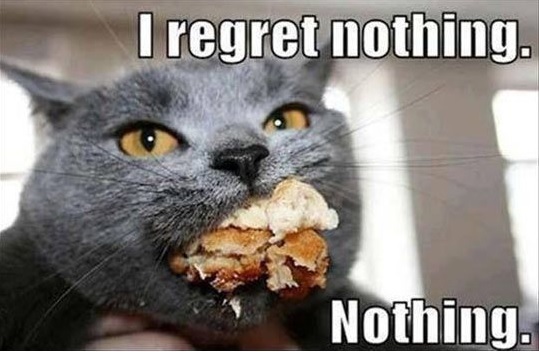 So I smashed my face into one last pie... and returned home. 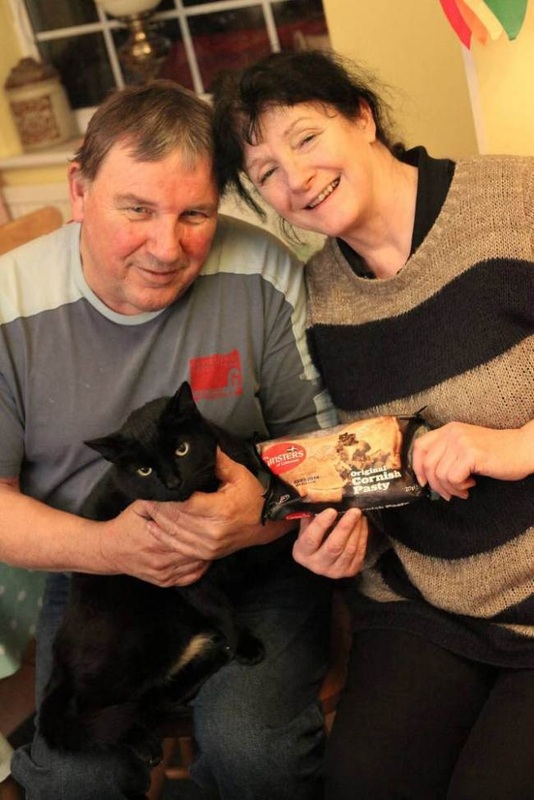 "When overweight Woosie went back to his home in St Austell, Cornwall, owners Helen and Phillip Johns were shocked – but not just because he had returned. The black feline had gained a few pounds after apparently feasting on Ginsters Cornish pasties at one of their factories 30 miles away. Mrs Johns said: ‘I was gobsmacked. We never expected to see him again, not after he’d been missing for three years. She added to the Plymouth Herald: ‘He’s probably been given lots of titbits from staff there.’"